On the 4th of October the Italian Government presented the update note to the so-called “Document on Economy and Finance” (DEF). It is usually published around the 10th of April but this year, because of the general elections, the former Government headed by Paolo Gentiloni of Partito Democratico didn’t show a “real” DEF but just a paper with estimates on Italy’s economy. This update is thus the “real” one. This document is so important because it has to be approved by the Parliament and provides the framework for the upcoming budget law. The fourth part of DEF, the “Government’s reform strategy”, includes a chapter related to Public security. Migration is the first issue faced by this section. In the document the Government underline that in 2017 and the first half of 2018 landings on Italian coasts are sharply decreased, especially from June 2018, when 4.458 migrants arrived to Italy; indeed in the same time of the past year they were 21.850, an 80% reduction. Moreover, there are 136.000 applications managed by the Italian authorities; just a bit more than 10% of asylum seekers’ request are approved, recognising them the refugee status. 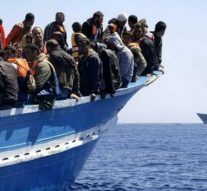 In the update notice the Italian Government shows its intention to adopt a new approach to limit migratory flows to Europe, which must be intercepted in the countries of departure and transit. Furthermore, it claims that the problem must be managed in a European dimension. The Government intends to revise the humanitarian protection channel, by means of the so-called “decreto Salvini” approved the 24th of September. This decree was very controversial. The Interior Ministry denied that there was any change since its approval, but Article 10 has been “softened”, because the President of the Italian Republic, who has to sign every law proposed by the Government, could take over an unconstitutional contents. Indeed, the first version of Article 10 foresaw that after a conviction in the first instance, the asylum application was suspended and the expulsion was immediately scheduled. In the new version there is just an acceleration of the examination before the Territorial Commission. Furthermore, it is set out that all the decree’s provisions have no additional cost for public administration, but at the same time, the measure provides for a doubling of the time of presence in the “stay centres”. The head of the Italian Doctors Without Borders mission, Anne Garella, contacted by the Italian newspaper la Repubblica, strongly criticised the decree saying that it is a “further step in the repressive migration policies of the Italian government, aimed at an indiscriminate arrest of flows and the criminalisation of migration, at sea and on land, and without any interest in life, health and the dignity of thousands of men, women and children”.